Who needs to watch the National Christmas Tree lighting ceremony when you can share a sweet treat with an immortal yuletide wizard? Santa Claus himself is slated to appear at the annual Dupont Circle holiday tree-lighting ceremony scheduled to kick off in front of La Tomate at the corner of of Connecticut Ave. and R St. NW at 4 p.m. The event — which is put on each year by Historic Dupont Circle Main Streets — celebrates the beginning of the holiday season with the lighting of the neighborhood’s own holiday tree. The festive gathering also includes caroling, cookies and an opportunity for attendees and their pets to get a photo with Santa. 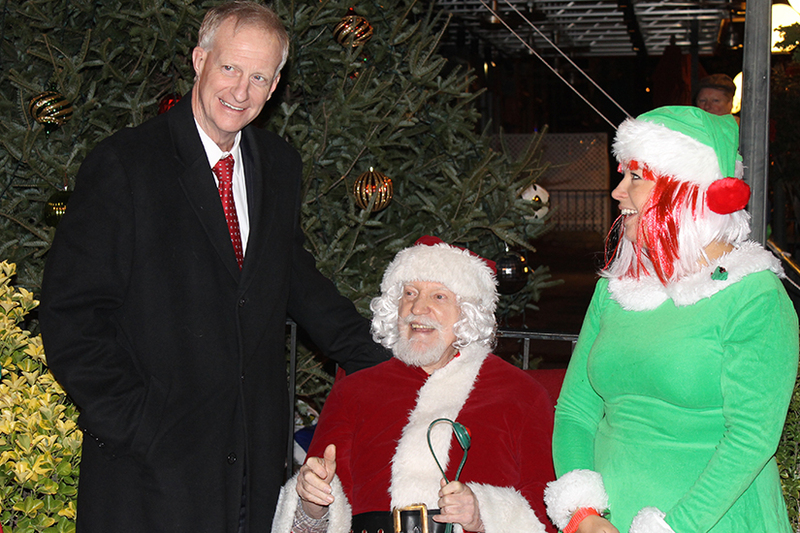 Last year, dozens of people including Ward 2 D.C. Councilmember Jack Evans showed up to participate in the tree-lighting ceremony. Shaw residents can start basking in the glow of a giant, twinkling tree in just nine days. The third annual Shaw Holiday Tree Lighting is scheduled to occur at City Market at O (800 P St. NW) on Saturday, Nov. 26, according to the event’s organizers. The tree-lighting ceremony will include live music, “electric train rides,” a moon bounce, ice sculpting and face painting. Then, at 5 p.m. sharp, local officials and business community representatives will light up the huge holiday display. 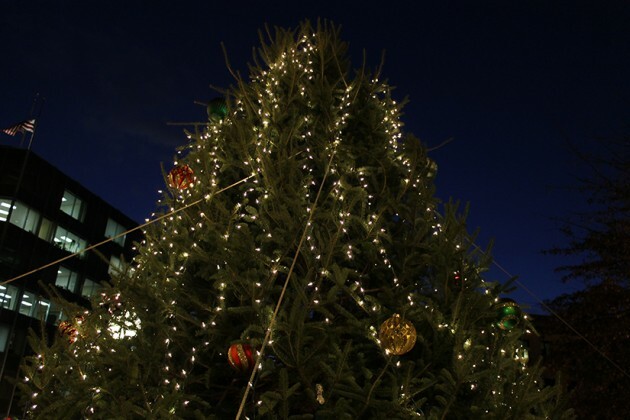 The 6th annual Columbia Heights Tree Lighting Ceremony is on Saturday December 3rd! You don't wanna miss this great night! While President Obama prepared to light the National Christmas Tree at the White House yesterday evening, about two dozen Dupont residents gathered to light tree of their own. 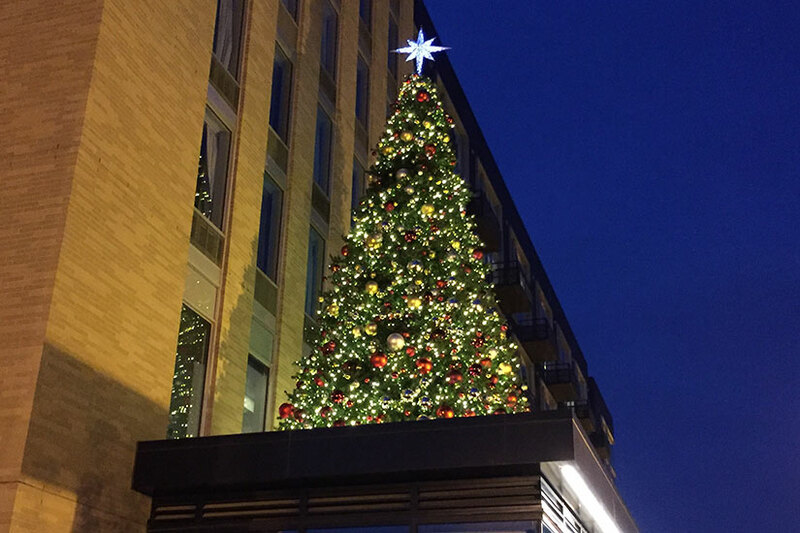 Ward 2 D.C. Councilmember, several ANC 2B commissioners and Santa Claus himself helped neighbors usher in the holiday season by lighting a festive tree in front of La Tomate, located at 1701 Connecticut Avenue NW. Residents munched on homemade cookies and sipped on pumpkin lattes as part of the annual celebration organized by Historic Dupont Circle Main Streets. After delivering a short speech, Evans then led the crowd in a countdown before lighting the tree. The tree’s 1800 lights will shine each evening through the rest of the month.